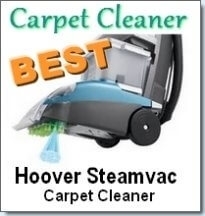 Reviews of vapor steam machines are very helpful for any housewife looking to buy a steamer for the home. People are becoming more interested in the many benefits of steam cleaning for fast, efficient, chemical-free, and eco-friendly cleaning. 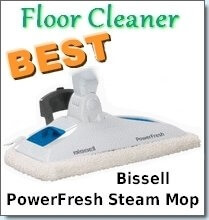 But since there are a lot of steam cleaning products on the market, you’re going to need our steam cleaner reviews to guide you. Vapor Steam Cleaning vs. Steam Cleaning: What’s the Difference? Before anything else, what’s the difference between vapor steam cleaning and steam cleaning? Well, steam cleaning makes use of hot water to direct ‘wet’ steam at what you need to clean that you need to wipe away afterwards. Vapor steam cleaning, on the other hand, uses dry steam. Vapor steam cleaning is great not just for dirt cleaning but also for disinfecting. Since it does not use suction, it is equipped with a boiler that produces dry steam. Vapor Clean is the brand that dominates the vapor steam cleaning industry. 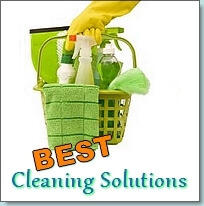 All Vapor Clean products are vapor steam cleaners designed for use at home. They are available online and combine winning designs and exceptional reliability. The brand has mastered the vapor steam cleaning technology like no other brand ever since they started in 1997. The vapor steam machines are manufactured in Italy and distributed all over the US market. Vapor Clean’s steam vapor cleaners are known for combining stainless steel bodies, powerful steam production, powerful motor, and user-friendly product design. Aside from these regular offers, Vapor Clean has also developed advanced vapor steam cleaning technologies such as additional water filtration, HEPA filter, two-stage vacuum system, combined injection system, and continuous fill steam feature with easy extraction and injection processes. Looking for a budget product? The Vapor Clean II is one of the best vapor steam cleaners from Vapor Clean. This is Vapor Clean’s most budget friendly product at less than $400. Take note that this is Vapor Clean’s cheapest, but not the industry’s. 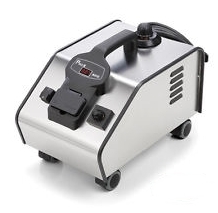 But you’ll probably be hard-pressed to find a vapor steam cleaner of the same quality as this at the same or lower price range. Also, this is mainly a residential vapor cleaner and can only tackle light to moderate cleaning tasks. Looking for the best product? The Vapor Clean TR5 Pro is Vapor Clean’s strongest product. This is a special dry steamer that exceeds the quality and features of models within the same product and price range. Although not the most affordable in the market, you won’t find a cheaper or similarly priced product that’s as advanced as the TR5 Pro. Why, it even comes with a digital microprocessor to regulate and maintain the steam temperature. This advanced feature isn’t available from any other brand. Check out the amazing power of the Vapor Clean TR5 Pro as it cleans years of buildup on this oven. At around $699, this may be an expensive cleaner, but it is worth it! 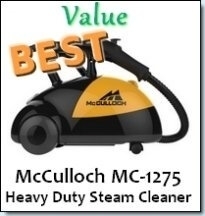 There is no questioning the quality and reliability of Vapor Clean steam cleaners. The only question is which product are you really after? The Vapor Clean II and IV are the entry level vapor steam cleaners, while the Vapor Clean TR5 and TR6 are the more advanced residential cleaners. The more advanced products, such as the Gaia and the Desiderio, are made for heavy duty residential cleaning but can also be used for greater vapor steam cleaning tasks. Buy any of the Vapor Cleaners directly here. How Steam Vapor Cleaners work and a review of the Vapamore MR-100. A closer look at the Vapor Clean Brand and our review of two of their vapor steamers. Steam Vapor Cleaning Tips for cleaning furniture, removing stains and other general steam cleaning tips. Our review of the excellent Sargent Vapor Steam Cleaner.